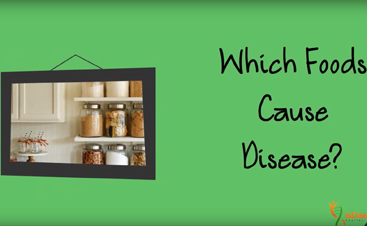 You Should Eat This.... | Is Disease Hereditary? Low-carb, low-protein, low-fat, low-calorie, low-salt, beans, no beans, grains, no grains, no meat, organic, farm-raised, wild-caught, free-range, grass-fed…getting your head around all this is not only confusing but overwhelming, to say the least. All of the experts are saying, “You should eat this”, but “this” is different depending on who you listen to. Don’t eat added sugar/sweetener and highly refined processed grains. Because the latter significantly contribute to obesity, diabetes, chronic disease, and premature death. So, that’s it, really. If you’re looking for a simple answer, you have it. Every day use less added sweetener until you use no added sweeteners. Every day replace the highly refined processed grain product in ONE meal with a real, whole vegetable until you eat no more highly refined grain products. Of course, many more details surround fats, proteins, unrefined grains and seeds, beans, how many meals to eat, what foods are best for your genes, and what you eat eats…but don’t worry about that now if you are just starting out. As you make small changes, you will be gradually ready to incorporate more knowledge and make more small changes. And eventually, once your metabolism is healthy again and you have created new mindful healthy eating habits, you can decide if you want to include an occasional bit of honey in your tea or bread at dinner. But first, you need to work your way to a healthy baseline. The toughest part for most people is simply changing their eating habits, and making slow changes has been shown to be the best way to form sustainable healthy habits for life. Creating healthy eating habits is, after all, about giving your genes what they need to help you live a healthy, happy life. It is NOT about losing weight. Forget about how much you weigh, what a good number is on the scale, what weight you will be “happy with”, how much you did or did not lose this week, or what size you are. Your body will get itself back to a healthy, ideal weight range automatically if you supply it with the right fuel. 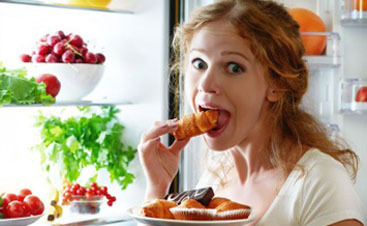 Eating healthy requires a mindset shift, as well as developing a healthy psychological relationship with food. It IS about nourishing your mind and body; giving your genes the best tools (nutrients) possible. And color = nutrients. Start with your kitchen. If you haven’t already subscribed to my free “5 SIMPLE Rules for a Healthier Kitchen” newsletter series, then do so on my home page. It’s packed full of healthy ideas to help you build a solid foundation for eating well at home, easily. Use this same principle at your grocery store and the restaurants where you eat. Identify exactly what healthy alternatives are available and make them a part of your new lifestyle. The first time or 2 will require a bit of effort; you might have to ask the waiter if their beef is grass fed, and he may not know and have to ask the chef. But it is your life (and/or your children’s lives) we’re talking about here…isn’t it worth a little extra effort at first?! One thing I found helpful when first trying to figure out how to eat more vegetables was to make a cheat sheet of ideas. I subscribed to a couple of online vegetarian magazines that sent me daily emails with vegetable recipes, then I wrote down several ideas I liked and taped them to the inside of my kitchen cabinet door. At breakfast and lunch every day for a couple of weeks, I would look at my cheat sheet for ideas and inspiration. Eventually, I formed new habits and no longer needed the constant reminder and I started experimenting with my own ideas and flavor combinations. To help you get started, here are some ideas that worked for me. For breakfast, try scrambled eggs or grilled fish on a bed of raw baby spinach or stir-fried kale. For a snack, try nibbling on raw summer squash or zucchini sticks (and no, do not dip them in ranch-style dressing). Actually, TASTE the real vegetable. For a side dish at lunch, make cole slaw by shredding cabbage and carrots, and then tossing with coconut oil and lime juice for an island-fresh flavor! The best advice, however, is to write down ways that you can have fun with this new mindset….be creative, try vegetables you’ve never eaten before. Use the links on my Resources page to look up healthy recipes. Write down your monthly healthy eating goals for the next 3 and 6 months. This will help keep you focused on your new habits. Handwriting goals on a piece of paper, by the way, has been shown to make an impression in your subconscious mind that will help you achieve your goals better than typing them or just thinking about them. So enjoy your new adventure, be creative, and eat the rainbow!